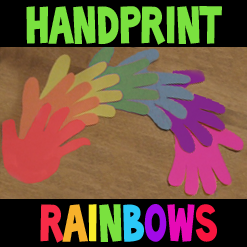 Rainbows bring smiles to faces everywhere and these hand print rainbow are very easy for children of all ages to make. This is a perfect activity for toddlers, preschoolers, and Kindergartners. 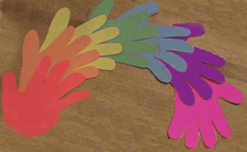 They are fun to make and parents just love handprints from their children.